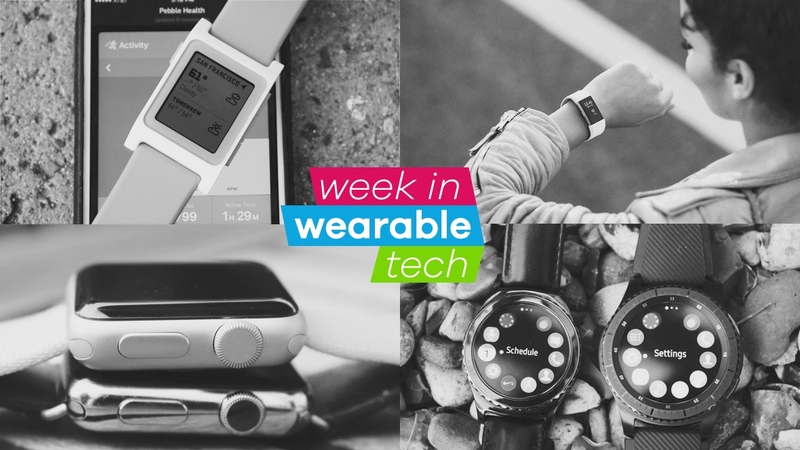 We thought last week was a crazy time for wearables, then this week showed up and proved us wrong. Here's all the major headlines from the last seven days, and be sure to check back tomorrow for And finally, our roundup of the smaller bits and pieces you might have missed. It's official. There wasn't really enough time to wrap our heads around the rumors but then Fitbit released a statement saying Pebble is no more. The unreleased Pebble Time 2 and Pebble Core will stay hidden away and all the software now belongs to Fitbit. It's a sad time for Pebble lovers but some people remain optimistic. In fact, many have taken to Twitter to express their outrage or to wish both companies well. We've gone through the stages of grief ourselves and outlined a list of reasons you should be pissed, and moved onto acceptance by taking a look at Pebble alternatives. Fitness trackers have dominated sales, with you guessed it, Fitbit on top of the pile. Smartwatches aren't doing horribly but people are simply turning to fitness trackers more often than not. Xiaomi, Garmin, Apple and Samsung round out the list of brands that are doing well in the space. It seems Apple and co., saw the report on fitness trackers and decided to set the record straight about Apple Watch sales. Sort of. Tim Cook sent an email saying, "Our data shows that Apple Watch is doing great and looks to be one of the most popular holiday gifts this year." No actual numbers were detailed in the exchange or provided afterwards, so aside from IDC reports, it seems we'll just have to take his word for it? Samsung released a big update for the Gear S2 and Gear S2 Classic that adds some of the best new features found on the Gear S3. You won't get built-in GPS of course, but the rotating bezel will become as smart as it is on the S3 by letting you accept or reject calls, dismiss alarms, timers and alerts - plus a whole lot more.